Ascend high into the hills of Himachal as you explore the lovely hill town of Shimla and experience North Indian lifestyle at its best. 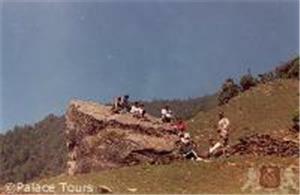 This comprehensive Shimla tour package begins and ends in Delhi, a convenient flight from most any international or domestic location. Then board one of India’s most beloved trains as you glide past glorious landscapes of green, blue, and white as you climb higher toward Shimla. Upon arrival in this quiet village, you can hear the prayers at temple or meditate in a beautiful garden. For the adventure-lover, there are plenty of sporting and recreation activities to enjoy, such as trekking, skiing, and horseback riding. There is also ample time to admire the village’s British-era history and stupendous panoramic views on this 3-night Shimla tour package. Early this morning you are met by a Palace Tours representative either at the Delhi International Airport or at your hotel. Transfer to the railway station to board the Delhi / Kalka Shatabdi Express train to Kalka. 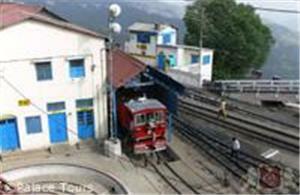 Receive assistance at Kalka railway station to connect to the Toy Train to Shimla, where you are met upon arrival and transferred to your hotel for check-in. 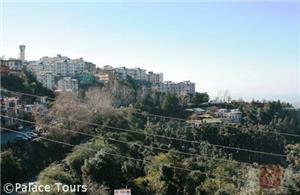 Spend your evening at leisure shopping and enjoying your Shimla tour at your own pace. Your relaxing overnight stay at the hotel will refresh you for the next morning. 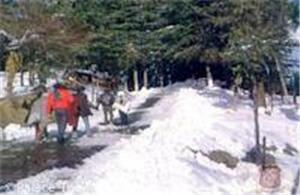 After breakfast at the hotel, embark on your full day sightseeing Shimla tour. Visit Kali Bari, a temple dedicated to the Hindu goddess Kali and then move on to Jakhoo Hill, the highest peak in Shimla at 2455 m, which offers a panoramic view of the town and is home to Jakhoo Temple dedicated to Lord Hanuman. Later, enjoy a scenic walk from Summer Hill to admire the 67-meter-high Chadwick Falls. These picturesque falls, surrounded by thick forests, are situated at about 7 km from the city at a height of 1586 metres. The Glen Forests with their refreshing ice-cold stream boast some of the most wonderful picnic areas in the region. 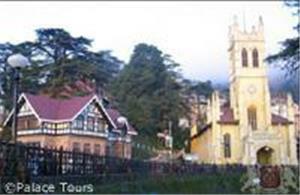 Today’s Shimla tour ends with a visit to Christ Church and the shopping center on the Mall Road. Return to your hotel for an overnight stay.